Stephen Cassidy was elected mayor of San Leandro in Nov. 2010 on an agenda of balancing the City’s budget. I worked on his campaign, but I have since become disillusioned by many of his positions, in particular those to limit transparency at City Hall and to push development deals harmful to San Leandrans. Americans generally believe in open government. We give our democratically-elected federal, state and local governments enormous authority over our lives and pay for the privilege with a substantial percentage of our earnings, the least we want in return is to know what the government is up to. To that end, both the federal and state governments have passed “open government” laws that require open meetings and the release of public information. 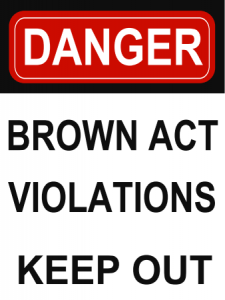 In California, the Brown Act regulates how government meetings can be held, while the California Public Records Act (CPRA) provides for access to public records. Local politicians and city employees are not particularly fond of these laws. They limit the deals they can do behind the scenes and make them more accountable to the public – at least in communities where there is a functioning press keeping tabs on local government. While San Leandro is not one of those communities – the Daily Review doesn’t even have a journalist assign to our city, and neither the San Leandro Times or San Leandro Patch do any investigative journalism -, it does have a few independent bloggers as well as concerned citizens that once in a while organize around a particular issue. City officials, therefore, have an interest in trying to circumvent these open government laws that might expose their doings. I have written before about how recently the City Council moved to pass a policy that would automatically destroy all their e-mails and how they have gotten rid of narrative minutes of city meetings. Just as egregious, however, is a little known City Council policy of approving items without properly agendizing them – thus hiding their actions from the public. 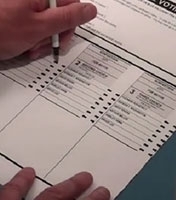 According to the Brown Act, before any meeting the government body must “post an agenda containing a brief general description of each item of business to be transacted or discussed at the meeting.” The City Council, however, does not need to either discuss any item on the agenda or vote individually on those items. Indeed, most meeting agendas include a “Consent Calendar” of items that the City Council will approve altogether and without discussion. Any member of the City Council can “pull” an item from the consent calendar, for individual consideration, but members of the public cannot do so. Members of the public can speak about any of the items in the Consent Calendar, but in order to do so, they must know what those items are. The San Leandro City Council operates both as a full body and through standing committees. These committees are usually composed of 3 City Council members are usually deal with concrete issues: rules, finance, facilities, relationship with the school district, etc. In addition to the standing committees, the City Council occasionally creates ad-hoc committees to handle issues that come up, such as the hiring of a new city manager. These committees are supposed to do the nitty-gritty work of the Council, read staff reports, discuss issues and decide upon them. While these committees must publish agendas for their meetings and their meetings are open to the public, they mostly meet during the day when most people are at work and unable to attend, and therefore they seldom see any public participation. City Council Committee members are therefore free to discuss and decide on issues without any public input. The recommendations made by City Council Committees are supposed to be discussed and approved by the whole City Council before they become “law”. They should be listed in the agenda as such, as required by the Brown Act. They are not in San Leandro. Rather, the City Council is asked to approve the minutes of the different committee meetings within the consent calendar, and by doing so, they approve their recommendation. For example, let’s say that the Business & Housing Development Committee recommends increasing business fees by 1,000%, the agenda for the next City Council meeting should say: “Action: Approve increase of business fees by 1000%”. What it would actually say is: “Accept Business & Housing Development Committee minutes”. When the City Council approves the minutes, it also approves the tax increase. The public would have no clue as to what had just happened. It’s not only the public that gets blindsided – new City Council members do as well, as they’re often not told of this policy until something comes up. Indeed, due to complaints by a City Council member, more recent City Council agendas have been a bit more clear as to what the Council is voting to approve, actually listing the committees’ recommendations, but they still don’t make it clear that the Council is approving those recommendations when they approve the minutes. At last Monday’s City Council meeting, Council Member Ursula Reed proposed that the City Council consider reducing its numbers from 7 to 5 when they next draw the redistricting lines later this year. She also proposed to extend term limits to 3 terms per Council Member. Mayor Cassidy thought the idea was worth considering, but he advocated that it be done as part of a larger reform of the whole City Charter. I agree. The Charter hasn’t been touched in decades, comes from a time when San Leandro was a very different city, and it may be time to give it more than a couple of cosmetic changes. I have advocated elsewhere that San Leandro would be better off having a full-time Mayor with broader powers. San Leandro is currently “ruled” by a City Manager only very indirectly accountable to the community. When a city manager is incompetent or corrupt, but still has the support of the City Council, citizens have little recourse: the only way to remove would be by the impossible task of recalling 4 City Council members. A Mayor, on the other hand, is elected directly and if undesirable he risks not being re-elected or recalled (one recall is easier to manage than four). I also support Reed’s idea of reducing the number of City Council members. San Leandro’s City Council is quite large for a city its size but here it’s clear that size does not equal competence. I can only hope that it’d be easier to find five competent people to sit in the Council than it’s been to find seven. Reducing the number of City Council members by two will result in some small savings (about $40,000-$60,000), the money could be put into better training or support for the remaining City Council members. Another issue that needs to be back on the table is that of having district elections. Right now, candidates must live within a particular district to run for that City Council seat but the whole city votes for them. This has the advantage of making all City Council members accountable to the whole city. A Council Member from the Marina, for example, is less likely to push the interest of Marina residents at the expense of those in other districts if the whole city will vote for his re-election. However, running city-wide campaigns is extremely expensive: the greatest cost in any local campaign is that of printing and mailing campaign literature – by having district elections candidate’s costs can be reduced by 1/6th (or 1/4th if we move to a 5-member City Council). This opens up the election to more candidates, in particular challengers who are unlikely to have the fundraising might of established politicians. It also makes it easier for candidates to get to know their constituents: in San Leandro you still get the most votes by knocking on doors and meeting voters face to face. Yet another compelling reason to move to district elections is that our current at-large elections may be illegal under the California Voting Rights Act, which prohibits at-large elections when these impair the ability of minority candidates from being elected. 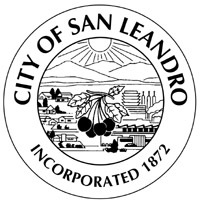 Despite the fact that over half the population of San Leandro is Asian or Latino, neither group is represented in the City Council which might indicate a violation of the Act. Other Californian cities have been sued by civil rights organizations under similar circumstances and it’s only a matter of time before the same thing happens in San Leandro. We might as well nip this problem in the bud. Together with making the Mayor more powerful and the City Council smaller, I think we need to grant the City Council greater oversight powers over the City administration. Right now the only hiring decision the City Council does is for the City Manager, who is responsible for hiring and firing everyone else in staff. This has led to an overwhelmingly white workforce in San Leandro and one whose loyalties are towards the City Manager rather than to the city as a whole. While the City Council should not be micromanaging the city, it should participate on key hiring/firing decisions such as those for the Chief of Police, assistant & deputy City Managers and the Finance Director at a minimum. As I explored in another posting, San Leandro is in dire need of a Citizens’ Police Commission to evaluate complaints of police misconduct, help set hiring practices and discipline standards and act as a liaison with the community. Any revision of the Charter should include the creation of this commission – this would ensure that future City Councils with cozy relationships with the Police would not be able to undermine the work of this body. Council Member Reed also suggested changing our current term limits from 2 4-year terms to 3. I am not convinced that this is a good idea (though I am convince-able). It’s extremely difficult for a candidate to run against an incumbent in San Leandro. Incumbents usually win by large margins. Since 1970, only one incumbent City Council member has a lost an election. However, term limits not only get rid of bad City Council members but of good ones as well, and take away some of the historical knowledge the Council can benefit from. As Council woman Starosciak mentioned at the last City Council meeting, it takes several years for a Council member to come up to speed – and by then they only have a few years left. Perhaps more importantly, second-term Council members without further political ambitions have no incentives to be responsive towards the community. This is a matter that should be discussed at length. There are some other minor things that need to be changed in the Charter as well. Currently, for example, a Council cannot vote to fire a City Manager within 3 months of an election. This very much curtails the power of citizens to do away with corrupt or inept City Managers by electing candidates to the City Council without a personal allegiance to him. As this city should be run for the benefit of its citizens and not City Hall there is no reason to keep this provision. 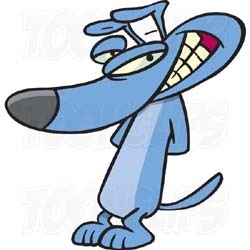 And it may also be time to take another look at the binding arbitration provisions of the Charter. These prohibit the Police to strike but give them generous rights to arbitration of their employment contracts. The Police have threatened to use these provisions to stop any attempts to make them contribute their fair share to their own pensions. The need to reform the Charter is clear, the question is whether there is the political will to do so. That’s difficult to surmise right now. San Leandro is a diverse town. The latest census numbers show that there about equal numbers of whites, Asians and Latinos in town, African-Americans making another 11% of the population. You will see this wonderful diversity when you visit our schools, our public library, our parks or community festivities. You will not see it, however, at City Hall. Last Monday the City Council carried out a work session on the issue of racial diversity in the city’s workforce. The city’s Human Resources consultant, Steve Harman, and the Chief Police, Sandra Spagnoli, both gave very brief presentations about diversity in their departments. The data they brought was scant but telling. Sixty one percent of the total City workforce and 62% of the Police force is white. These numbers, moreover, don’t tell us about the type of jobs held by members of racial minorities in San Leandro. 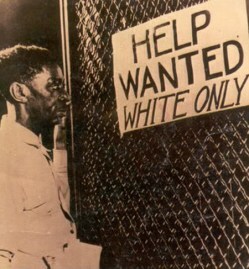 Are blacks and Latinos working for the city as accountants and public work specialists, or as street cleaners and gardeners? City Hall needs to make this clear. We do know, however, that there are very few minorities at the upper echelon of city government and that 71% of the last 14 people hired at the city (which included the Chief of Police and the Finance Director) are white. The situation at the Police Department may be even grimmer. While Spagnoli did not disclose the number of minority sworn officers, Mike Sobek, the head of the San Leandro Police Officers Association, spoke during public comments and mentioned that (out of the 90 or so sworn officers) only two are black and two Latino (including himself). There doesn’t seem to be any Asians. They did say that 13% of officers are female, while the number might look low it is better than the national average of 8% or so. Fortunately both Chief Spagnoli and Sobek seem to understand the real importance of diversifying the force. Spagnoli told the Council that Police forces must reflect the ethnic diversity of the communities they serve, and she’s making changes in the recruitment and promotion process at the SLPD to accomplish this goal. Spagnoli also wants to get more officers that are bilingual, have college education, special training and live in San Leandro. Applications for SLPD positions will now be accepted in an ongoing basis, allowing the SLPD to build a richer application pool. It would help this process, however, if the SLPD posted job openings on their website. Promotions to sergeant positions will no longer be based entirely on an interview with police higher ups, but on objective criteria as well, and require people from outside the SLPD in the interview panel. This latter change comes as part of the settlement agreement with the female officers who sued the city for sexual discrimination. During public comments, Sobek spoke of the need to not just open the process to minority applicants but to specifically recruit them. He suggested the Police go to colleges with diverse student populations and suggest law enforcement careers to students who might not have considered them before. Having a Police force which is diverse not only ethnically, but ideologically would likely help in establishing good relations with the community as a whole. Sobek had many very positive things to say about Spagnoli – in particular he spoke eloquently about how she’s helping the force gain a sense of focus and purpose. It seems she’s really bringing a level of professionalism the force was lacking. From the outside, it’s difficult to know how she’s handling the “rotten apple” problems within the SLPD, and as head of the Police Union Sobek is not an unbiased observer, but his words of praise for Spagnoli seemed heartfelt and I’m hoping they reflect a commitment within the SLPD hierarchy and union to create a police force with is both clean and committed to the community they serve. Back at City Hall, the idea of diversifying the workforce seems to be new and novel at the City management level. While recruitment of individual positions varies, it seems clear that the city has not done anything to promote job openings among minority populations. The city does not even advertise its jobs in places like Craigslist, preferring to use the San Leandro Times and its own website. The City Council, however, seems to be listening to the tolling of the bells and sent the message that they want a more open process. The Council’s real commitment to diversity will actually be tested in their choice of a new city manager. Signs so far are encouraging, last month they started the city manager hiring process anew when they couldn’t find a suitable candidate with a good understanding of diversity issues.